--- "We contacted David about 4 months ago and we searched and searched for our perfect waterfront dream home. We recently purchased a waterfront home that we just fell in love with. David made the process so easy. His patience with us is very much appreciated." --- "My wife and I could not be more pleased with Dave. All through the selling process, he went out of his way to make us feel that we were his most important client." ---"I was very lucky to have found Dave to assist me with my investment property search. I more or less knew what I wanted, but it was Dave's ability to negotiate that made it happen, along with his persistence on my behalf. He truly know his trade." --- "We have both bought and sold houses numerous times during our adult life and David Noce certainly has proved to be the most patient and positive realtor we have dealt with. From the moment he picked us up at our hotel in Annapolis to the day we walked through our home in Millersville, David provided the professional services we needed during an emotional move. Not only did we look at over 100 homes in a period of three months, David was there on move in day with a new recycle container and only a phone call away for any questions we asked. David is more than a realtor, he is a friend! I would recommend (and have) David to anyone relocating to this area without reservation"
--- "Dave is one of the most conscientious, enthusiastic and competent individuals I've had the pleasure to work with. He far exceeded my expectations from the outset; truly a man of his word. He is professional, knowledgeable, reliable, honest and dependable. He went well above and beyond the call of duty. I highly recommend Dave's professional services to anyone purchasing or selling a home!" --- "My fiancee and I were tired of renting. We decided to buy a place of our own to build equity. As first time homebuyers we were scared and naive and didn't know what to expect. David was able to guide us through the process and find us our first home with complete ease." --- "We loved working with Dave! We had been living overseas, so this was our first house buying experience. Dave was extremely flexible with our schedule and made us feel like we were his only clients. He was quick to respond to us via email and when we arrived he spent day after day with us searching for our home. He had no issue with us looking at 14 homes a day until we found the one we liked. We really appreciated his relaxed attitude. He never made us feel like we had to settle or compromise on what we wanted. He wasn't pushy about any of the houses, but would give his opinion if we asked. In addition to showing us homes he drove us around the community and pointed out restaurants, stores and things to do. His descriptions of the community helped us decide that we wanted to live in the city of Annapolis and now we couldn't be happier with our home and the location. Overall, our experience with Dave was fantastic. He is a knowledgeable, professional who made the whole home buying experience enjoyable and we wouldn't hesitate using him in the future." 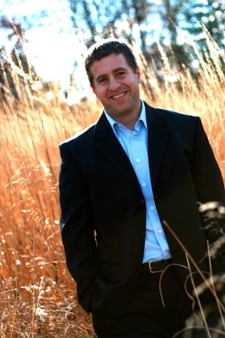 --- "Dave Noce of RE/MAX Real Estate did a very professional job as our agent. As a result of Dave's expertise, our Annapolis home was sold during an economic downturn. His excellent communication skills produced a very effective marketing plan and also open communication between us, the sellers and Dave, our Realtor. No one will work harder for you than Dave Noce."